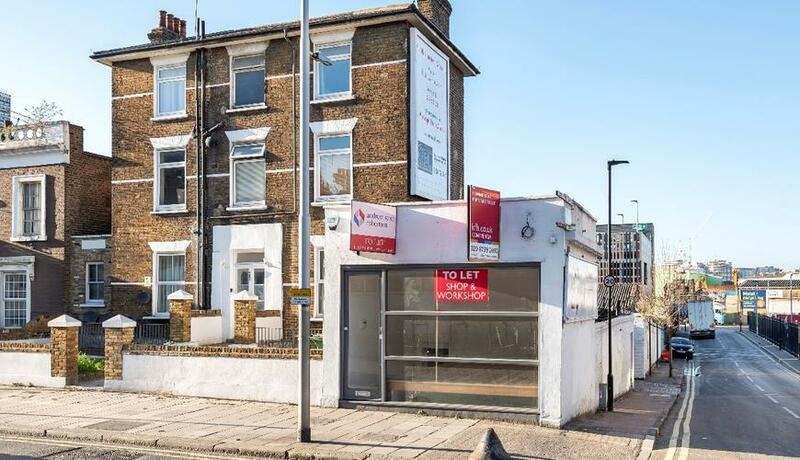 The subject property benefits from retail fronting onto Wandsworth road and backing onto a workshop space, and lower ground office/storage. Location: The property is prominently situated on the corner of Wandsworth Road (A3036), and Pensbury Street. Wandsworth Road Station (0.1 miles) offers access to the Overground (southeastern service). The local area Wandsworth Road is a mixture of commercial and residential properties which benefit from excellent transport links, with various bus routes along the A3036. Traders nearby include Orbit, Savy Cafe, Flutter Me, Avn Convenience Store and Lycamobile. Terms & conditions: A new Full Repairing and Insuring (FRI) lease to be agreed by negotiation. Business rates: We understand from Lambeth Council that the current rateable value is £20,000. The amount payable for the year to 31st March 2019 is £9,600. Any interested parties should however check the accuracy with Lambeth Council. Rent: £18,000 per annum exclusive.